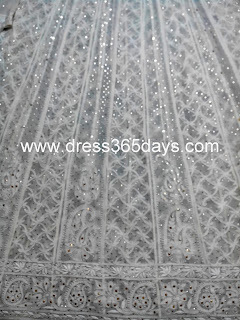 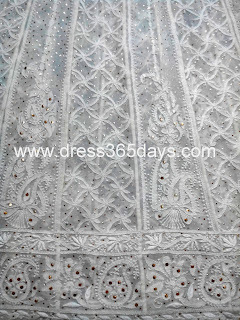 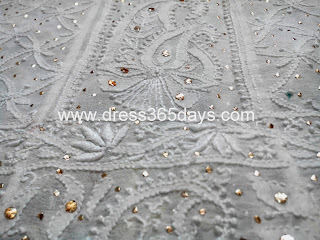 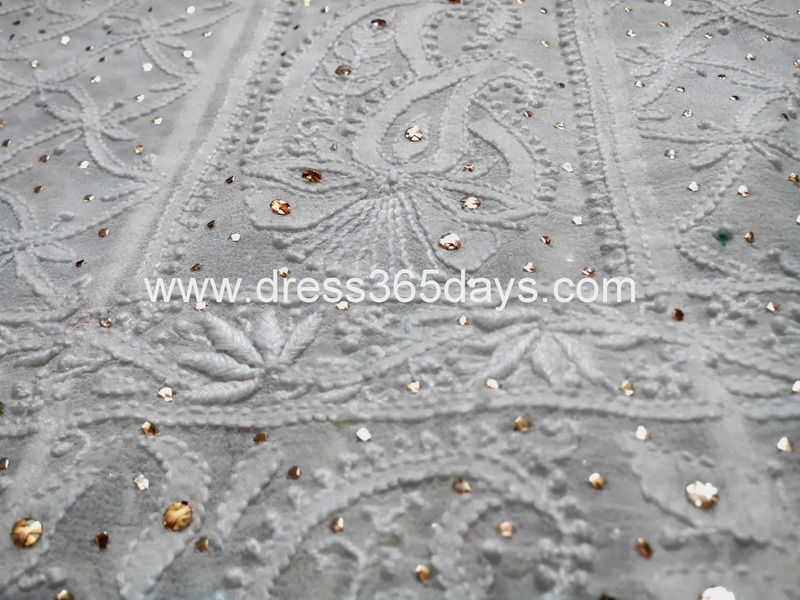 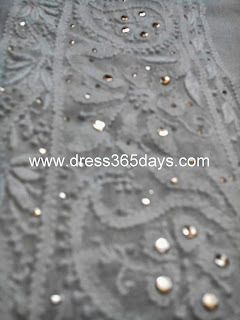 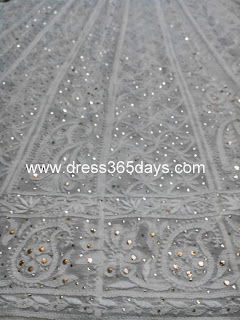 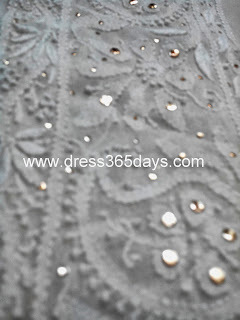 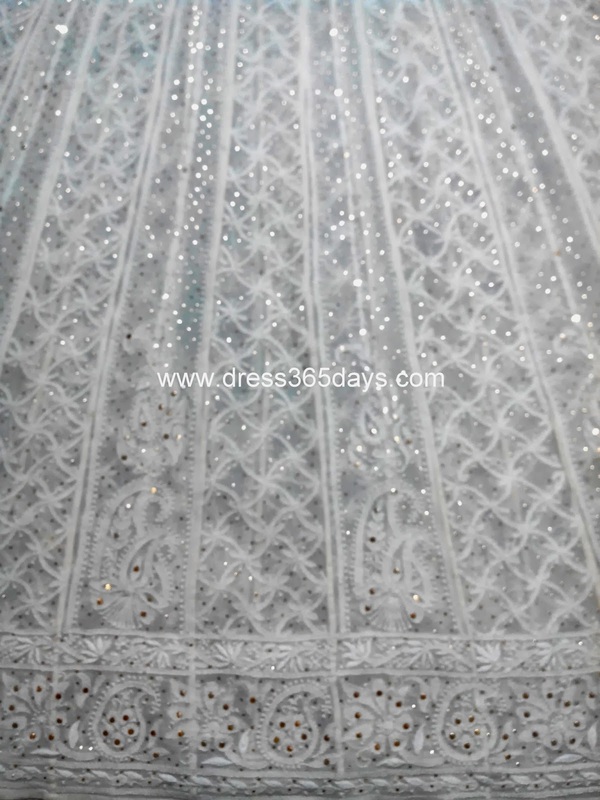 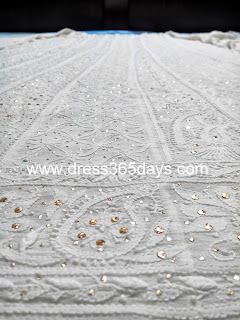 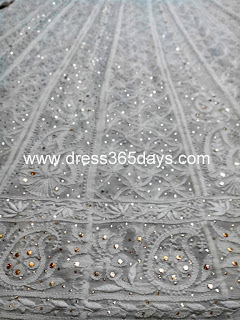 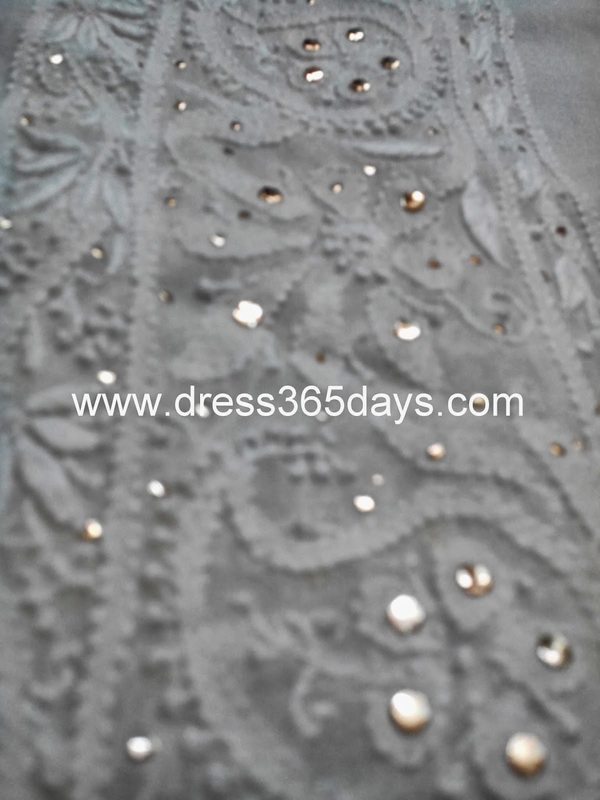 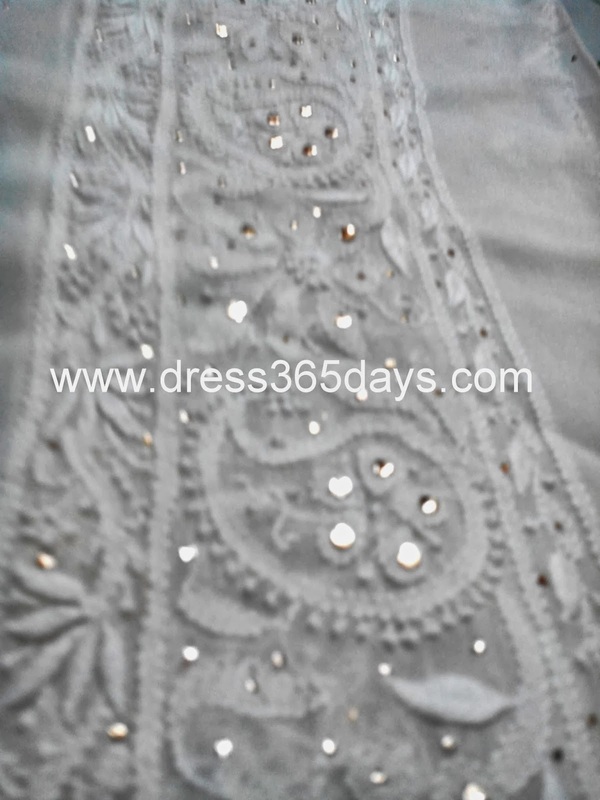 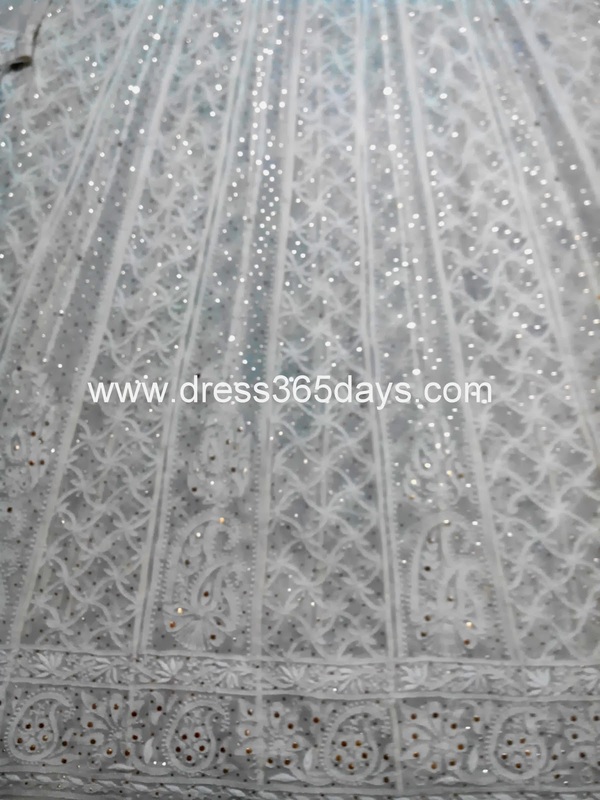 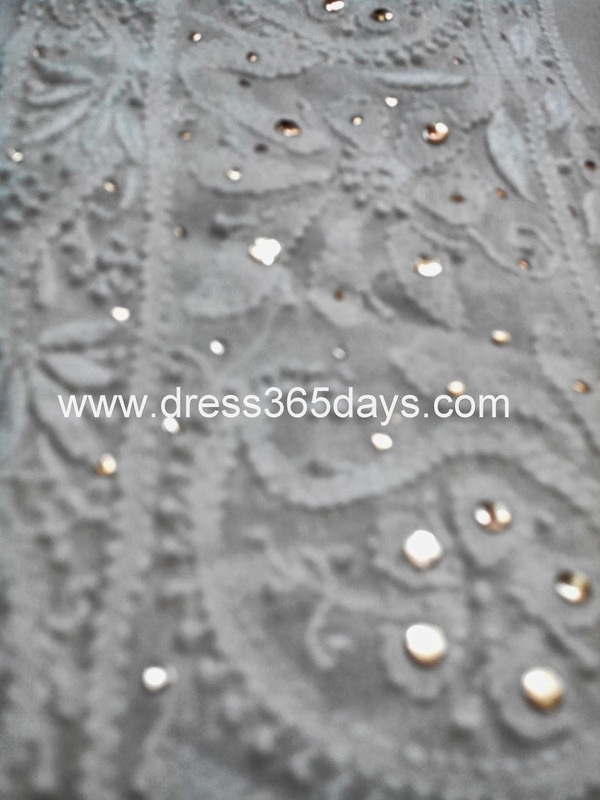 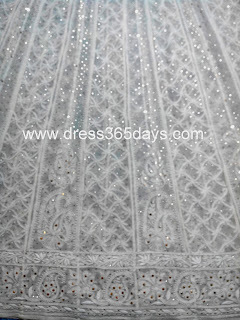 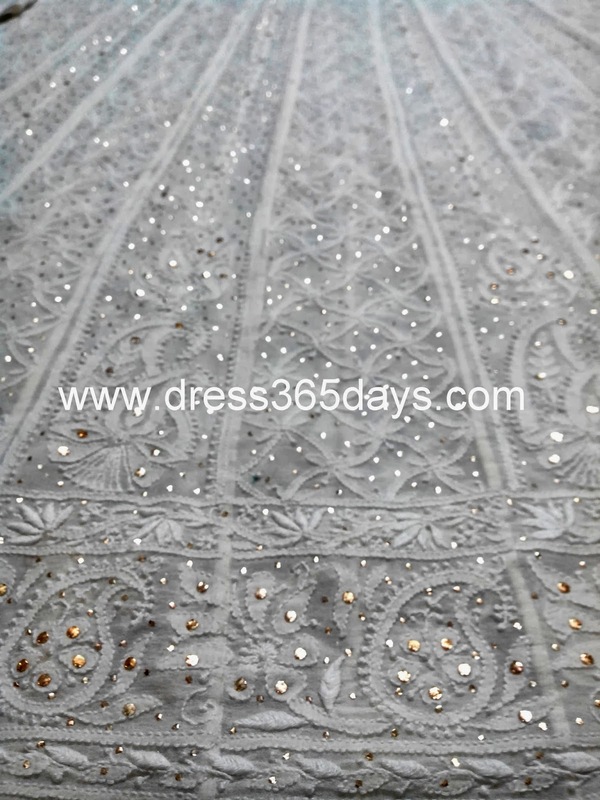 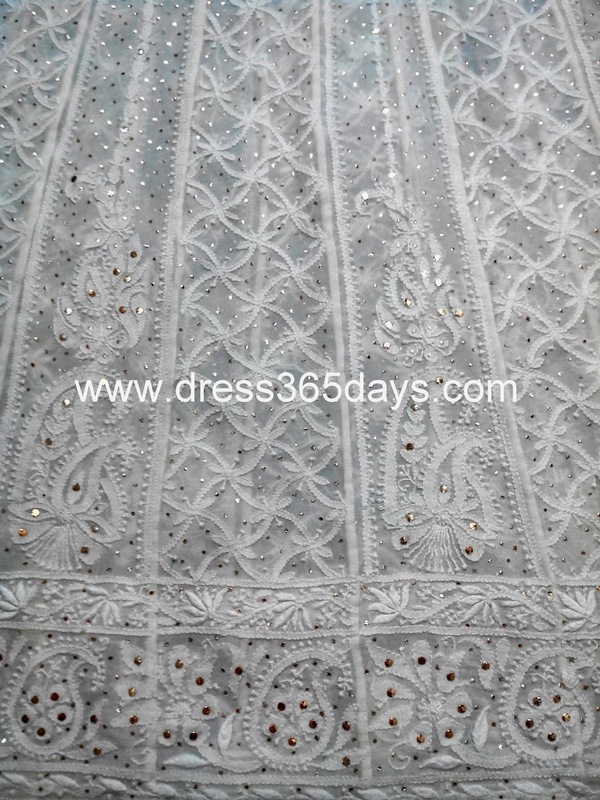 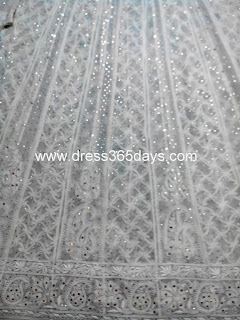 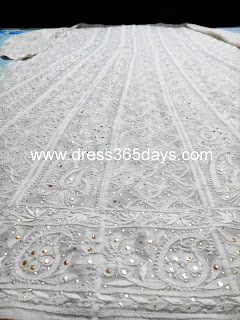 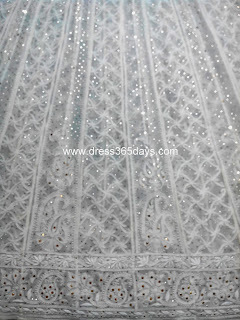 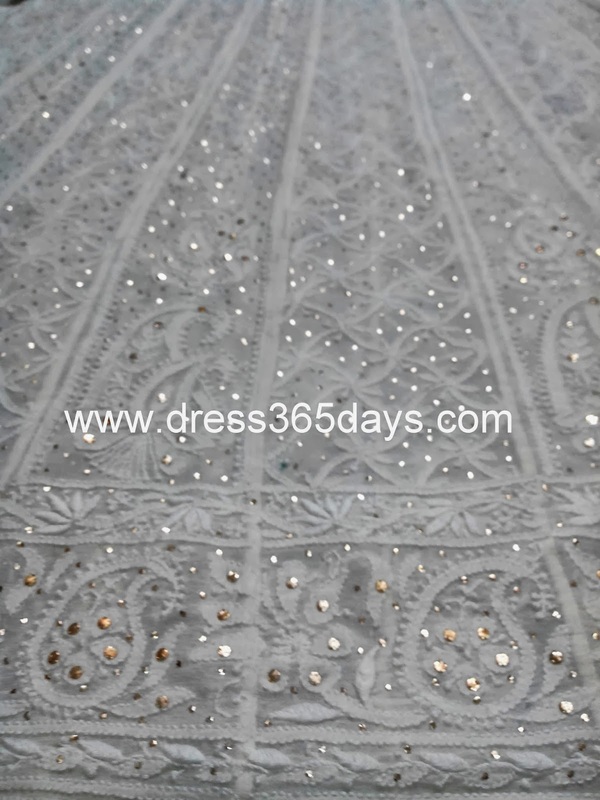 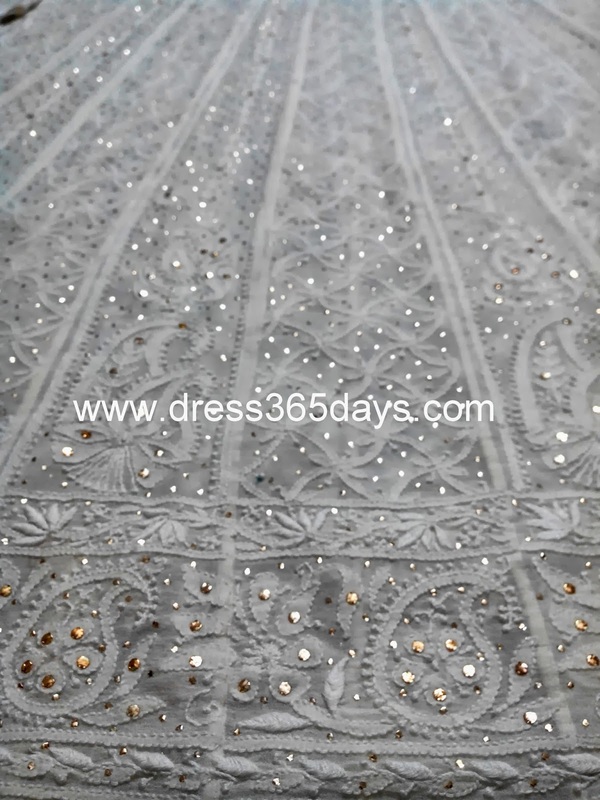 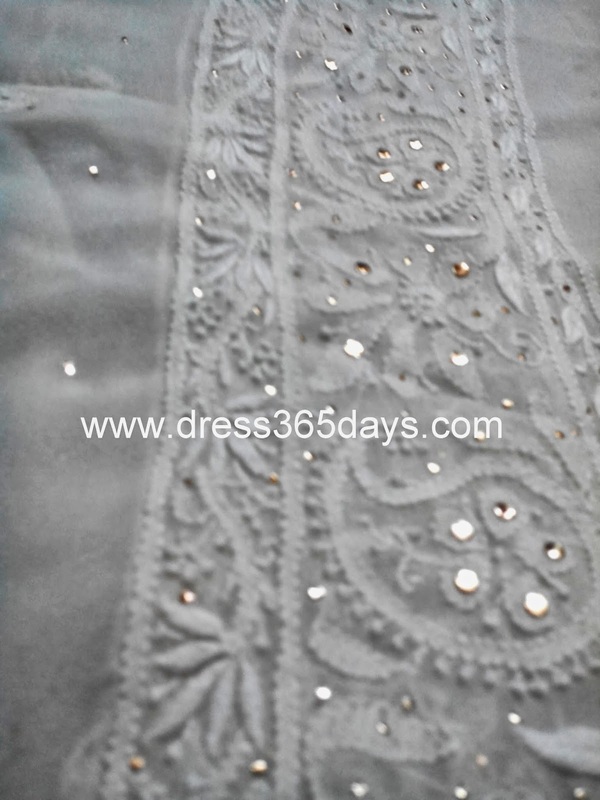 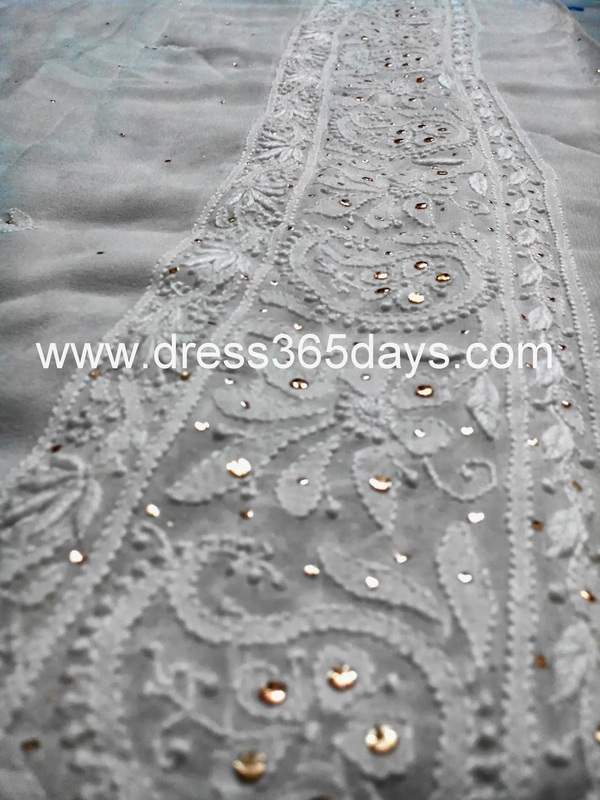 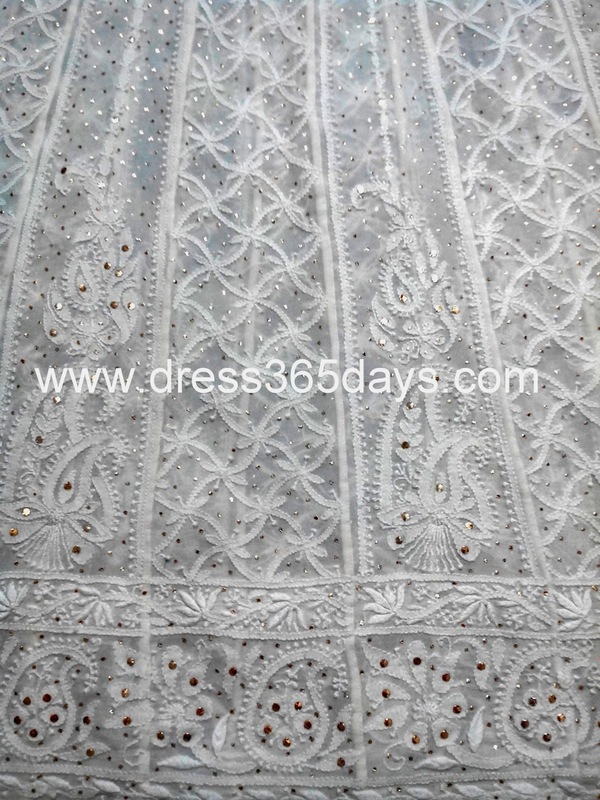 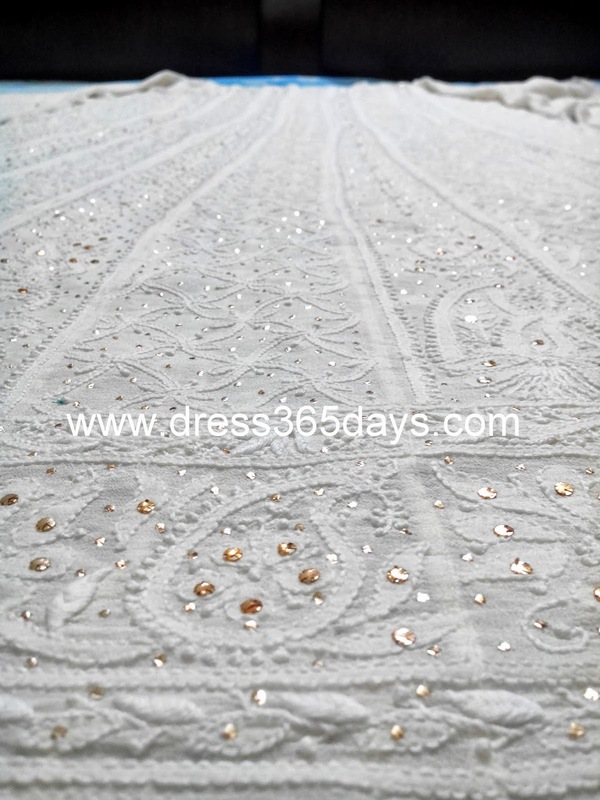 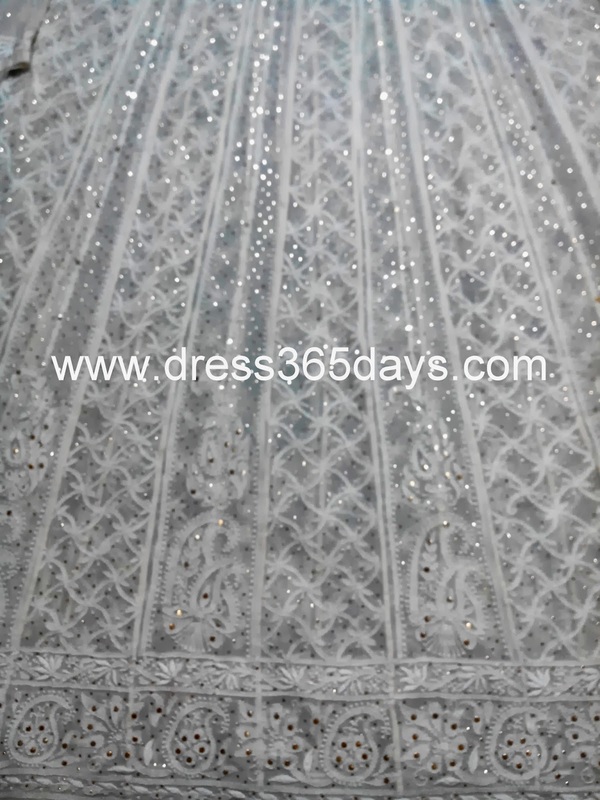 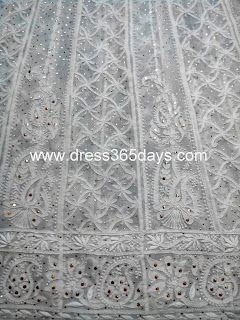 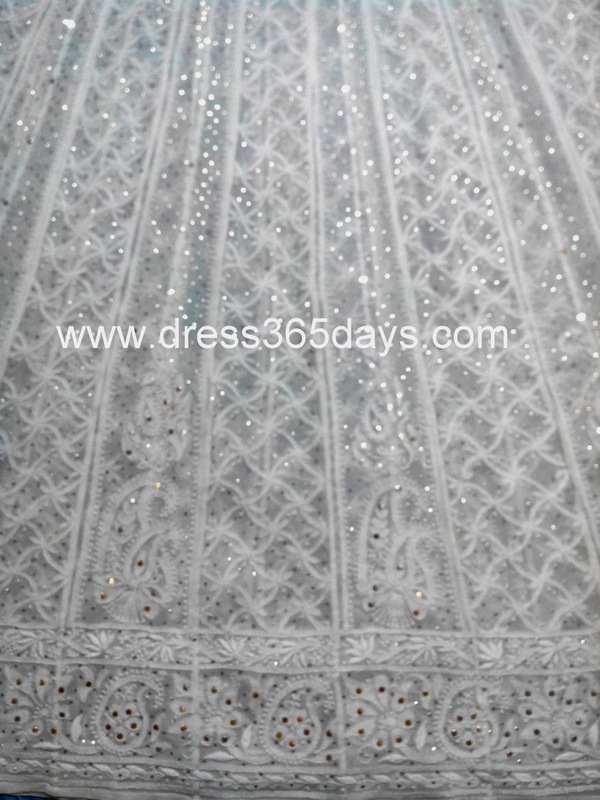 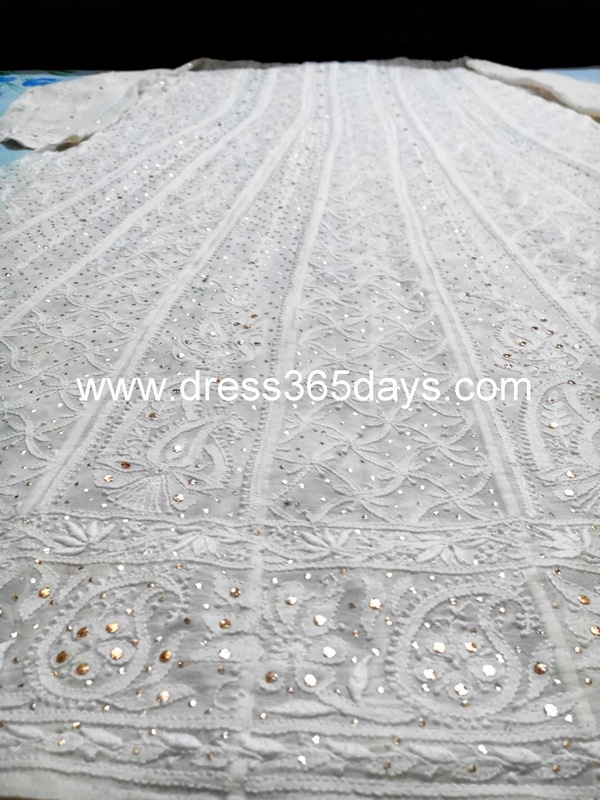 Pure Georgette golden mukaish and Kamdani work chikankari (Lucknowi Chikan) semi stitched white anarkali along with pure Georgette chikankari dupatta. 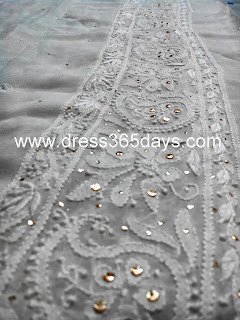 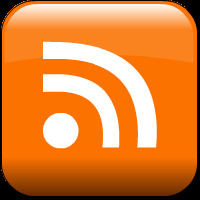 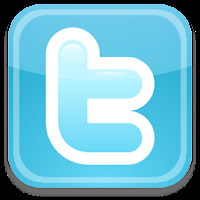 Check out the beautiful piece of work. 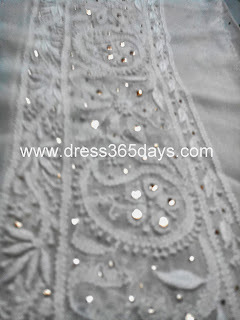 wanna buy.